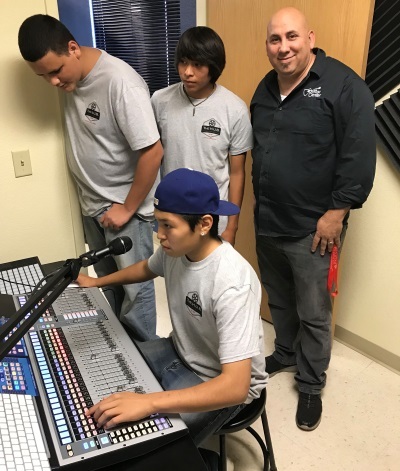 At-risk youth program in Arizona utilizes StudioLive mixers, EarMix 16M personal monitor systems and Studio One 4 software. The Navajo County Juvenile Probation Department has teamed up with the Navajo County Accommodation District to help at-risk youth avoid jail by helping them learn life skills and make-up lost credits through The H.U.B. (Hope, Unity, Belief) Center for Success. The Center is working with industry partners such as Guitar Center to develop a music room, complete with a recording studio to help teach constructive skills and hobbies. For their new recording studio, recording and mixing solutions manufactured by PreSonus Audio Electronics of Baton Rouge, LA were placed into service. Guitar Center Professional coordinated the sale of products for the new recording studio at The H.U.B. Center for Success. According to Sal Davi, account manager at Guitar Center Professional, “The plan is to create a recording facility where students can record songs and make videos in addition to using the equipment to mix and capture live shows. H.U.B. students along with Sal Davi from GC Pro Arizona. When asked about their reasons for selecting these specific PreSonus products, Davi offered the following thoughts. “It all came down to a combination of versatility and intuitive operation,” he reports. 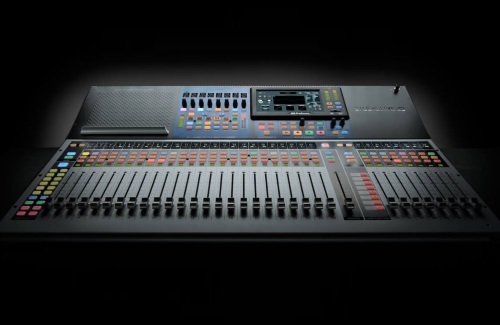 “Since this equipment will be used for both live sound and recording projects, we needed a setup capable of handling a wide range of production scenarios. The PreSonus equipment does just that.